In ASinHD’s blog, Human Perception Assignment 2, the author says, “I really didn’t have enough pictures for this assignment.” Well, I would say that’s not entirely the case as the photos used are amazing and the trip seemed like a great time. 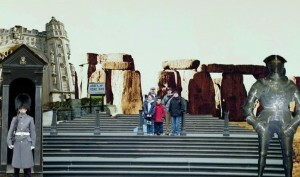 The stairs and the Stonehenge background really gave a great sense of depth. 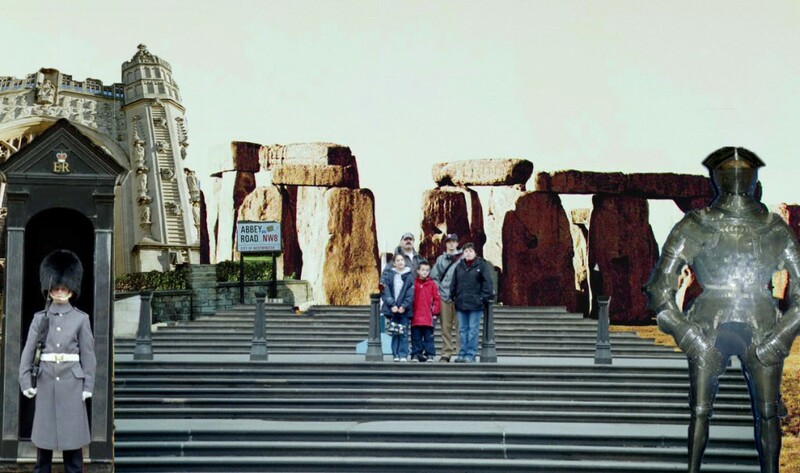 While the family photo was a little pixilated (you work with what you have), I thought a really great job was done with the magic wand tool (or however the image was cut-out) around the image, keeping details intact. In the future, I would play with the color adjustments for the images so the graphics have similar brightness levels (like the armor suit on the left). I was also include a little more detail as to the process in which the collage was created, so it gives the reader a greater appreciation for the effort put into the work. I am not really sure of the author’s skill level in Photoshop, but the details around the images were very well executed, couple that with visually stimulating landmarks and a great sense of perspective and you have a very nice collage here. Good job!